The Motegi Racing Super Drift Challenge, which will take place both nights on the eastern end of the race circuit – turns 9, 10 and 11 – will feature 16 of the sport’s top cars and drivers. Friday’s action will include practice and qualifying runs, while Saturday will see the teams compete for a $25,000 prize purse. On Sunday, the Super Drift Challenge cars will drift the entire race circuit after the featured IndyCar Series race. Grand Prix fans that purchase any admission ticket for Friday or Saturday racing activities will be able to see that night’s Motegi Racing Super Drift Challenge. 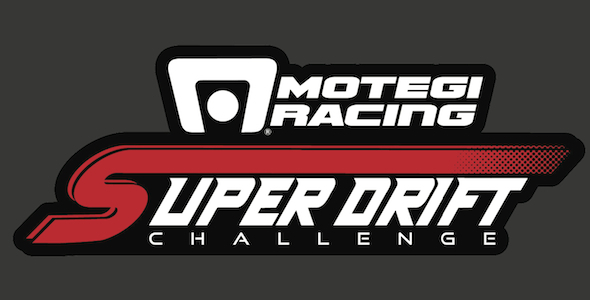 Seating for the Super Drift Challenge will be in Grandstands 16, 18, 24, 25 and 26 on a first-come, first-serve basis beginning at 6:30 p.m.
Last year’s Motegi Racing Super Drift Challenge made history as the first night racing in the history of the Toyota Grand Prix of Long Beach. Matt Powers took the victory after a close-fought Finals match with top seed Michael Essa, to the delight of more than 10,000 spectators. Race weekend’s festival of family entertainment includes free Friday and Saturday night concerts and the Lifestyle Expo featuring a huge Family Fun Zone with racing simulators, kids’ racing cars, computer games and action sports. Also in the Expo will be the ever-growing Green Power Prix-View, featuring the latest in environmentally conscious products for the car and home. Add to that multiple driver autograph sessions, special events and exhibits highlighting the Grand Prix’s 40 years, the popular Food Truck Experience and Sunday’s Mothers Exotic Car Paddock, it’s a weekend that will be packed full of activity. CLICK HERE for coverage from Speedhunters of the 2013 Motegi Super Drift Challenge.